Cosmetic Dentist Preston are one of the leading dental practices in Preston providing the highest quality of cosmetic dental treatments in the area. Our dentists have a huge amount of experience in the industry so you can take confidence in knowing that we are the ideal dental practice for you. We specialise in a huge range of dental treatments such as teeth whitening, dental implants, orthodontics and many more services, so no matter what you are looking for, we are here to help. Our dentists work tirelessly to ensure that you receive the treatment that you deserve. If you would like to know any more information about our cosmetic dental treatments then please feel free to give us a call and one of our members of staff will provide you with all the necessary information as well as providing you with answers to all of your questions and concerns. Alternatively, if you are unable to take a call right now, then don’t worry, you can also contact us via email by filling in one of the quick contact forms that can be found at the bottom of this page and on the “contact us” page and we will get in touch with you the same day following your enquiry! Our Laser gum treatment at Cosmetic Dentist Preston use light energy in an extremely focused manner in order to provide quick and painless dental services. At our dental practice we are able to provide the latest in laser gum treatments. 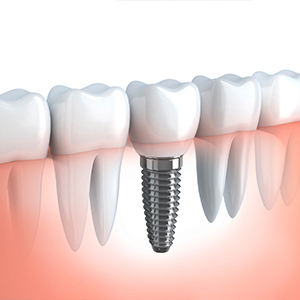 The treatment manages the infected gums in just one visit. Laser dentistry quickly and painlessly removes any dangerous toxins that could eventually lead to bone deterioration. If you are wondering how it works then keep reading. The laser assisted gum therapy is regarded for its comfort but at our practice we also use a local anesthetic to ensure that there is absolutely no pain during the whole procedure. A small laser about the size a hairbrush bristle is placed in the space between the gum and tooth to eliminate all the bad bacteria and diseased gum tissue. This will mean that all of the healthy tissue is left unharmed. A second laser creates a photo-acoustic (sound wave) to gently break apart tartar and calcium deposits on the roots of the teeth whilst detoxifying the roof surfaces. The laser fibre then returns to remove the harmful toxins and sterilizing the bone and tissue. If you have noticed that your gums are tender, inflamed, bleeding or receding from the tooth then it’s likely that you have gum disease. If you notice any of these symptoms then don’t hesitate to give us an emergency call and Dr. Iqbal and his team at Cosmetic Dentist Preston, located in Preston will be able to provide you with the latest advances in laser dental therapy in order to keep your gums in good health and well being. If you wish to know any more information about our laser treatments or any other services that we provide at our dental practice then feel free to contact us. We will talk you through all the necessary treatments options and also provide you with answers to all of your questions and concerns. Alternatively, if you’re unable to talk a call at the minute, you can contact Cosmetic Dentist Preston via email by filling in one of the quick contact forms that can be found on all the pages of this website and we will get back to you as soon as possible. Are you looking for that one dentist that you know you can rely on throughout the year? Here at Cosmetic Dentist Preston we are renowned for providing fantastic General Dentistry, so can ensure that we provide you with only the best services available. If your teeth are getting darker in colour or you’re suffering from toothache, perhaps caused by an abscess, you may need to undergo dental treatments. Regular visits to a dental hygienist for thorough and professional cleaning are extremely important for maintaining the appearance and well-being of your teeth. Have you got a badly broken tooth? The dentists at Cosmetic Dentist Preston can provide you with a huge range of different dental treatments that you can undergo to cover up or repair the broken tooth and allow your tooth to function as if there was no damage. Around five thousand people a year in the UK alone are diagnosed with oral cancer but as with the majority of cancers, early detection means an early treatment. That is why having regular dental checks at our fantastic dentistry is essential! If you wish to know any more information about our General Dentistry then please feel free to give us a call and one of our many specialists will provide you with everything you need to know as well as answering any questions or concerns that you may have. Alternatively, you can contact us via email and we will get back to you the exact same day! People who have been sleeping with their dentures in might want to think again after reading this post! A recent study has shown that people who sleep with their dentures in are at a higher risk to develop pneumonia than those who remove them prior to sleep. The study was undertaken by the International and American Associations for Dental Research. Poor health and hygiene are one of the main contributing factors for Pneumonia among the early. This is one of the reasons that the research team based from Nihon University School of Dentistry in Japan. This study shows that it is extremely important for senior citizens or people that wear dentures to undergo dental hygiene programs that will help them to prevent Pneumonia. If you are concerned about this and wish to speak to a professional personally, you can contact our dentist in Preston either by phone or by email and one of our members of staff will be able to provide you with an appointment so that that our dentists will be able to provide you with all the information that you require. Gum Problems Worse Than You Think? Most of us have problem experienced some sort of sore gum problems from time to time and just thought nothing of it seeing as it wears off after a day or two. The same applies to when we see a small amount of blood in the saliva after brushing your teeth. However, both of these could be early signs of gingivitis or gum disease. Whilst it is true that both of these symptoms could disappear shortly after they are first seen, they should be taken serious and you should seek professional advice from one of the experienced dentists at Cosmetic Dentist Preston. By scheduling regular checkups at Cosmetic Dentist Preston, the early stages of gum disease can be treated before it leads to a much more serious condition. So feel free to contact us and one of many experienced dentists will provide you with all of the information that you require. We understand that dental phobia is very common amongst the masses, and for a lot of people out there going to the dentist can be a very daunting experience. The sound of the drills can be very frightening and could possibly put people off coming to the dentist and then risking their health by not having routine checkups by their dentists. Dr Arfan Iqbal is a Dental Phobia Certified dentist and has had a huge amount of experience dealing with patients that suffer from dental phobia. We are committed to making sure that we create the most relaxing environment possible for all of our clients to make sure they are comfortable. We use state of the art technology to make sure you are comfortable with the treatments that you require. We guarantee to provide you with the best treatments in the industry, as well as providing you with peace of mind and a relaxed atmosphere to make sure you’re relaxed and calm prior to your treatment. If you suffer from dental phobia don’t hesitate to call us and one of our many specialists will provide you with all the information that you require, you can even come down to the practice to have a chat before you book an appointment – to make sure that you are 100% comfortable with the procedures that we have in place, here at Cosmetic Dentist Preston. Don’t live your life being unhappy about your smile and afraid of smiling on photographs? You don’t need to be afraid anymore! Here at Cosmetic Dentist Preston we can provide you with an excellent Smile Makeover in Preston. Our brilliant team of expert dentists can revitalize the health, appearance and function of your teeth to provide you with a smile that you can be proud of and leave all your friends and family in envy. Your smile one of the first things that someone notices and it can leave a lasting impression on the person that you are meeting. If you want to leave a good first impression then it’s essential that your teeth are as beautiful as they can be. We at Cosmetic Dentist Preston are renowned for providing one of the best dental services in Preston, so you can rest assured that your teeth are in the best capable hands when you contact us! If you are not looking for a smile makeover and just want a dentist that you know you can turn to, to have professional advice and checkups then we are the place for you, we also provide a fantastic General Dental services, so from the first visit you have to our practice your teeth will be looked after by one of the best dentistry’s in the business. Have you ever considered getting a cosmetic procedure such as Botox? Here at Kendal Dentists we can provide you with a fantastic Botox treatment that is guaranteed to leave you amazed. One of the main reasons that people get Botox is to make you look younger. Have you ever looked in the mirror and just wanted to wipe away your wrinkles? Well that is basically what Botox does… Botox is one of the best and most common ways to reduce wrinkles on the forehead. Have you ever thought that Botox was just for cosmetic purposes only? Hyperhidrosis is the technical word for excess sweating, which can be extremely embarrassing. Botox relaxes the muscles around which it is injected and reduces the amount of sweat that is secreted from the glands around it, this way it can reduce the symptoms of excessive sweating for up to months after one treatment. If Botox isn’t what you are looking for you can still contact us to get one of the best dental treatments in the North West. Our dentists are specially qualified in a huge range of dental treatments so you can rest assured that you are in the best capable hands when it comes down to dental treatments such as Tooth Whitening, Dental Crowns, Porcelain Veneers, Dental Bridges and many more. The new MD 11 together with its brother, the MD 20 motor system, is developed with one specific goal in mind, to put extra smoothness into users’ hands. The further development of its motor and motor control is a huge aspect in the generation of Nouvag motor systems. This reflects the new design with smooth edges for easy cleaning and a display that gives all the information at a glance. Single function keys with audible feedback guarantee for accurate device setup. Inserting and changing of tube sets is effortless by a front access push button and tube compartment. A broad variety of extensions and accessories are available by Nouvag and can be added at any time of your convenience. Nouvag AG guarantees the supplies within an appropriate period and a customer friendly warranty system takes care of all the matters when the products are not as they should be. If solidity and quality paired with smooth operation and quite a fair price tag is important, the new MD 11 should definitely be your first choice. If you would like to know any more information please feel free to get in touch with Cosmetic Dentist Preston today! We will be able to provide you with everything that you need to know as well as answering all of your questions and concerns.